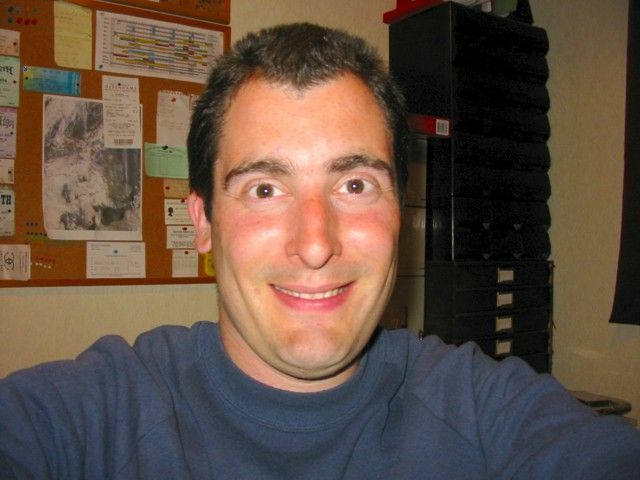 This is a compilation of all the pictures of me on this website. 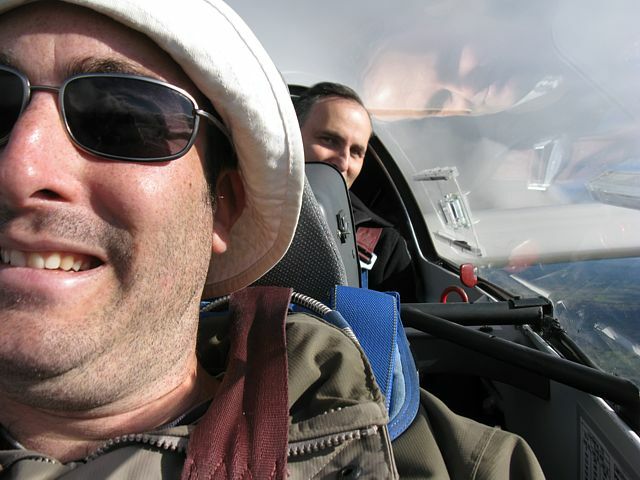 November 1999 - Me in a Grob 102. 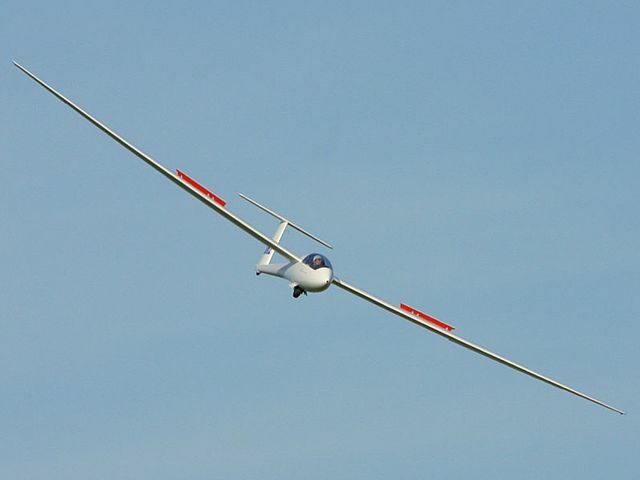 Lasham Airfield. 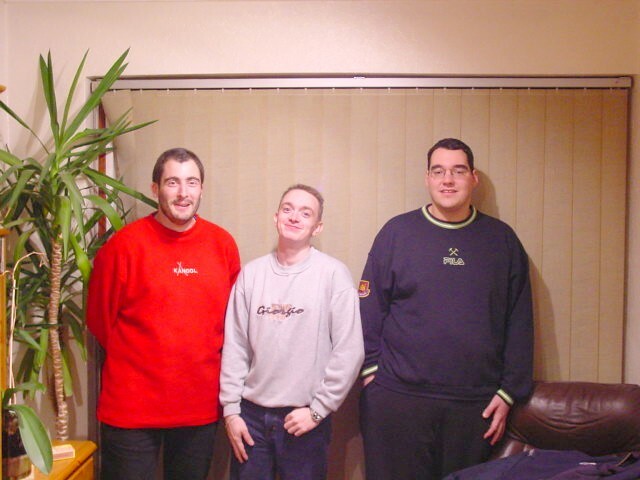 4th November 2001 - Me on right. 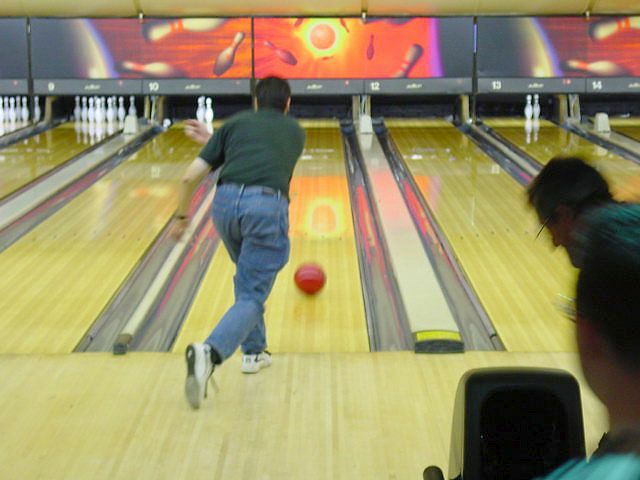 Kenton 4th November 2001 - Me on left. 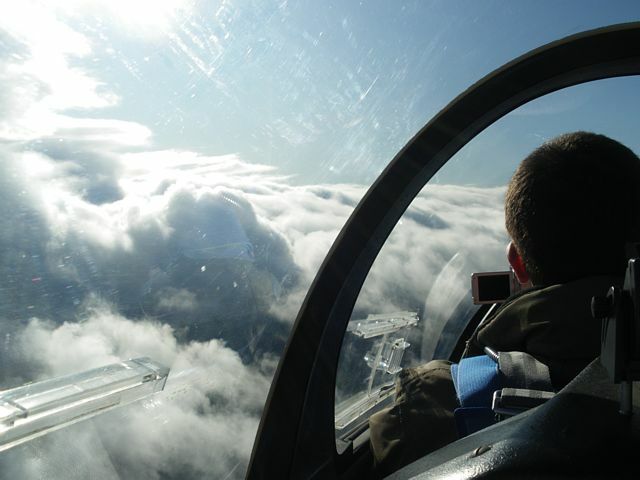 Kenton 4th June 2002 - Me in an ASW19 Glider. 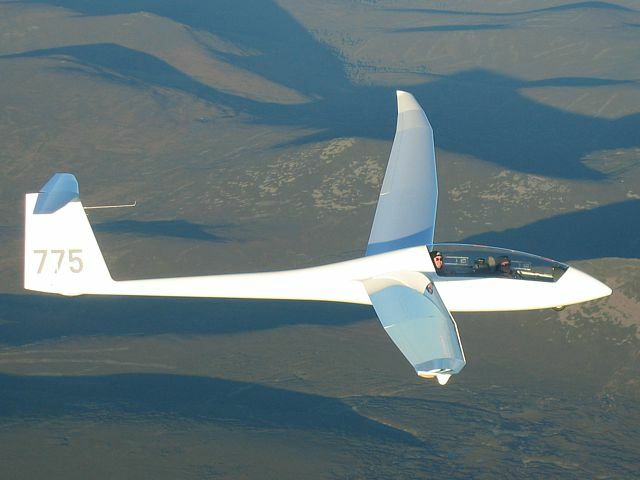 Airport Bowl, Heathrow 8th April 2004 - Me in a Ventus C Glider. Above Basingstoke, Hampshire. 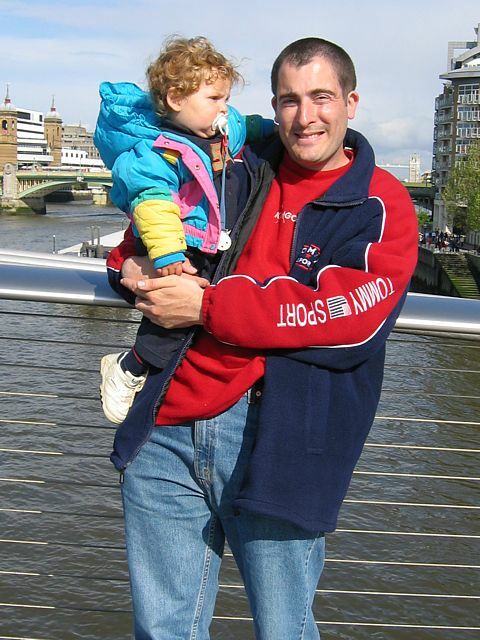 3rd May 2004 - Carrying baby cousin Itai. 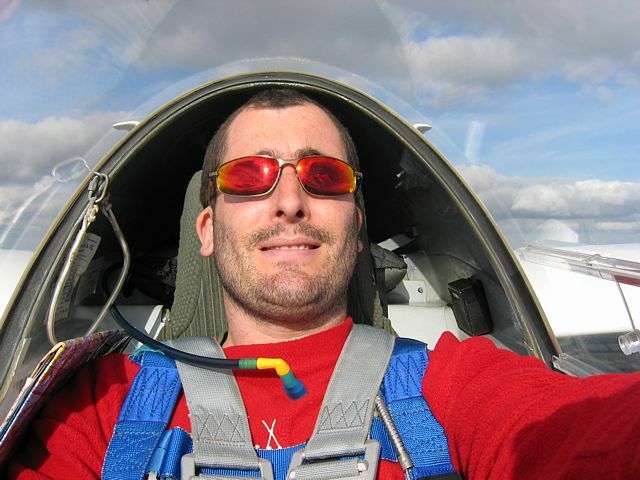 Millenium Bridge, Central London 5th September 2004 - Shots taken of me in a Discus B Glider (My head is visible). 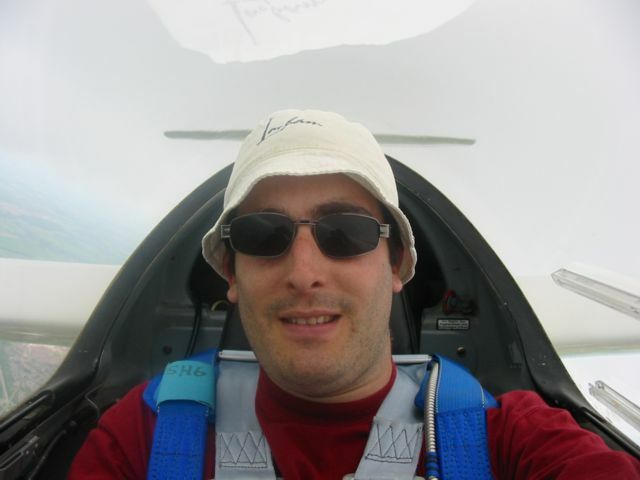 5th September 2004 - Shots taken of me in a Discus B Glider (My head is visible). 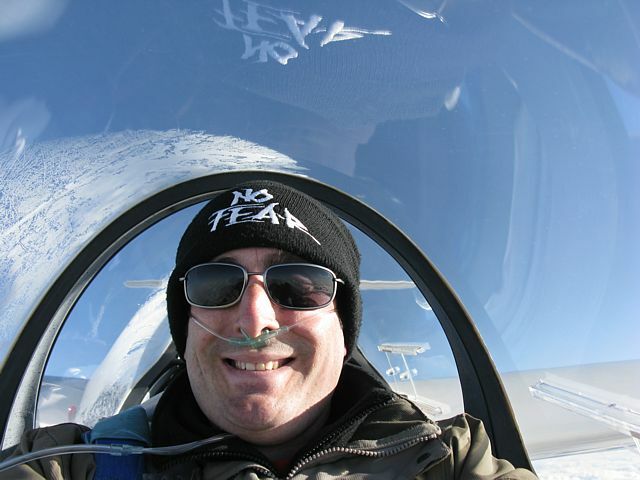 Gransden Lodge Airfield, Cambridgeshire. 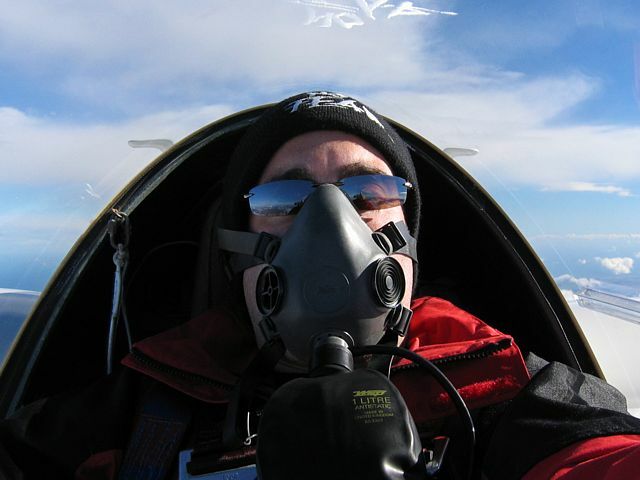 4th October 2004 - Me in a Discus B Glider at 10,000 feet. Above the Dee Valley, Aberdeenshire. 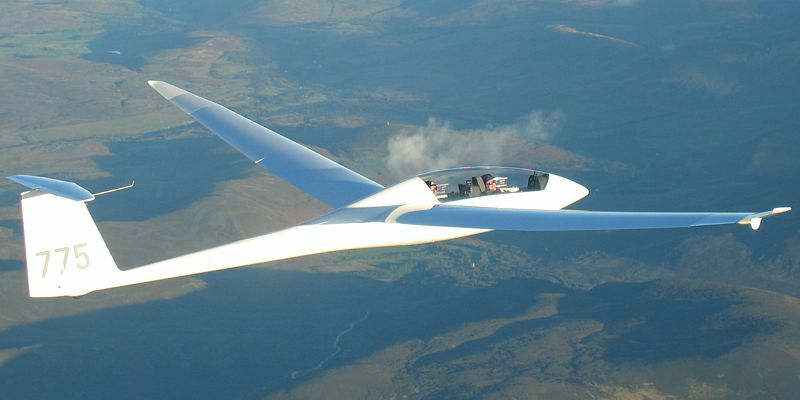 5th October 2004 - I am behind the glider. 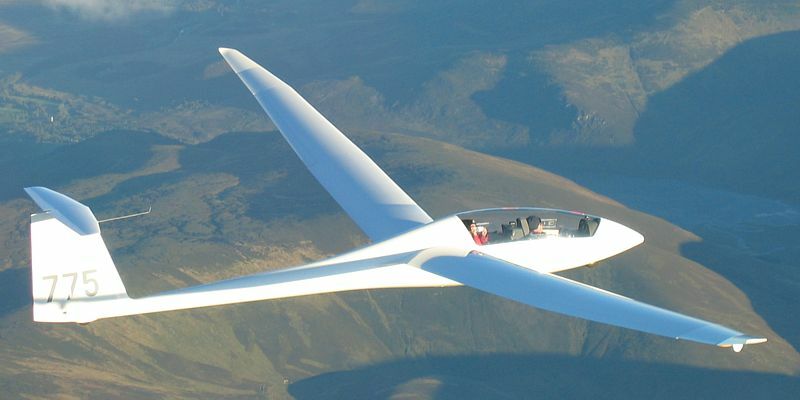 Deeside Gliding Club, Aboyne, Aberdeenshire. 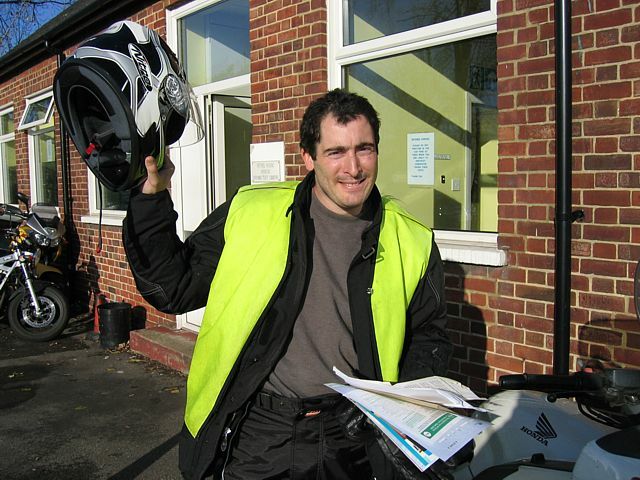 29th November 2004 - Just passed my motorbike test. 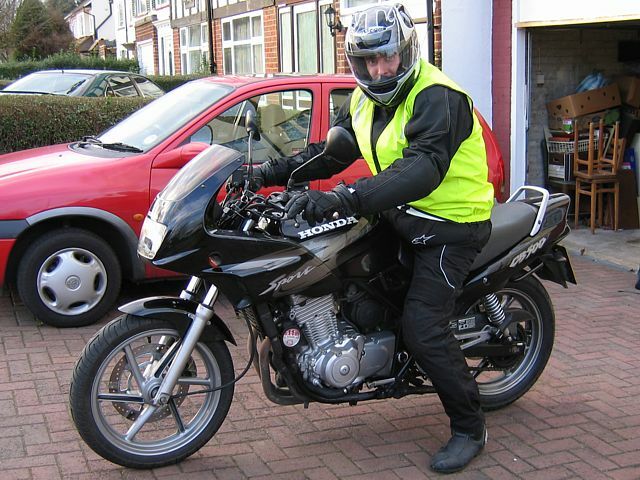 Hendon Test Centre 9th February 2005 - Posing on my new bike. 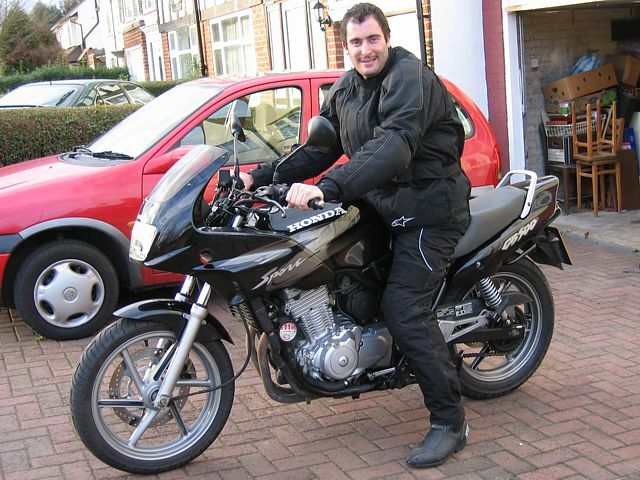 9th February 2005 - Posing on my new bike. Kenton 16th July 2005 - Me launching in a Primary. 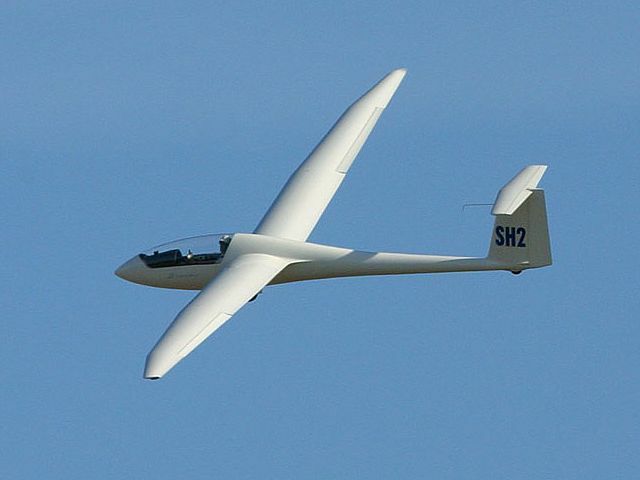 Lasham Airfield. 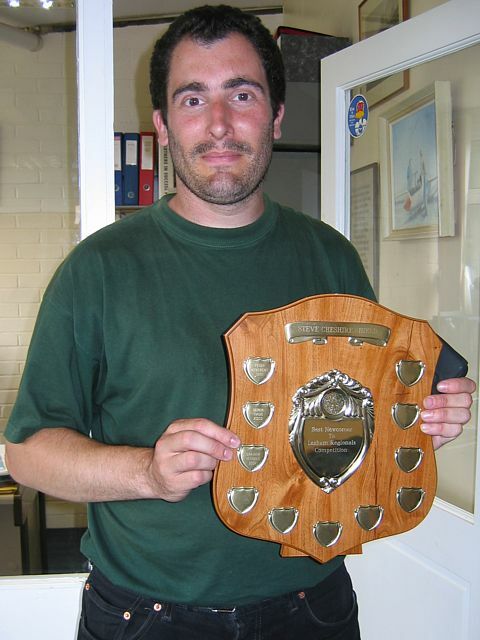 31st July 2005 - Me holding Lasham Regionals best newcomer shield. 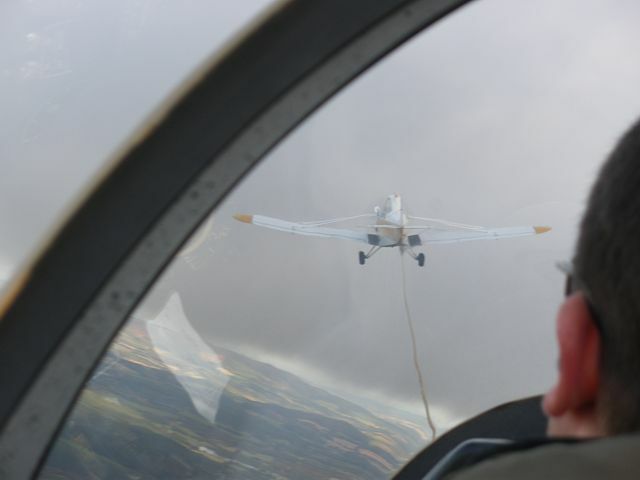 Lasham Airfield. 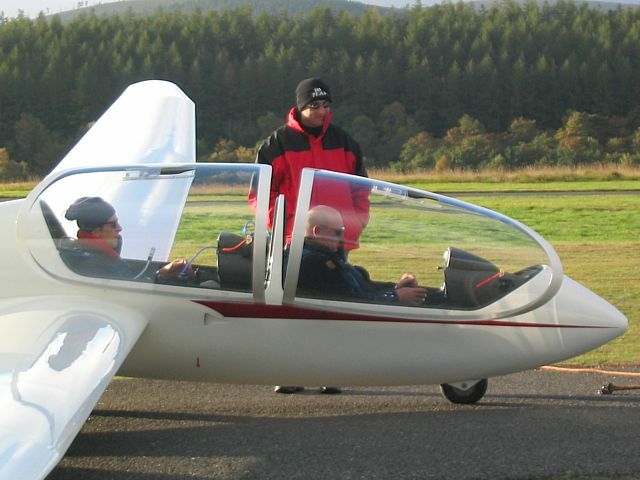 9th October 2005 - Me in a Discus B Glider. 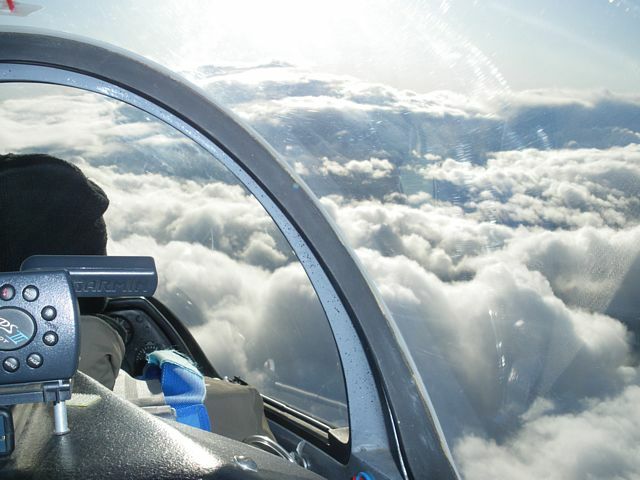 Somewhere between Lasham and Basingstoke, Hampshire. 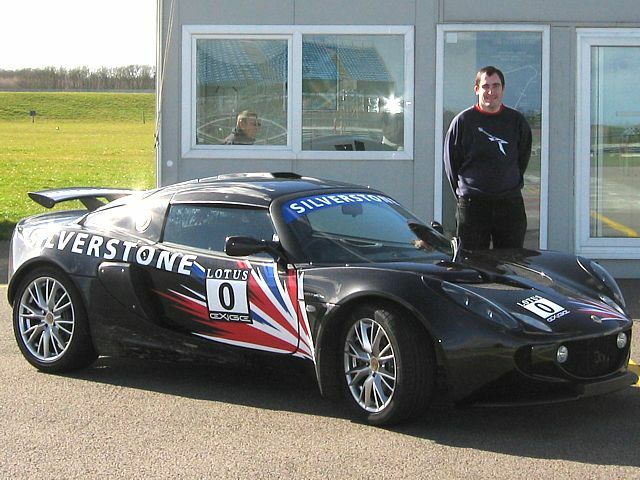 1st April 2006 - Me standing next to a Lotus Exige before I drove it. 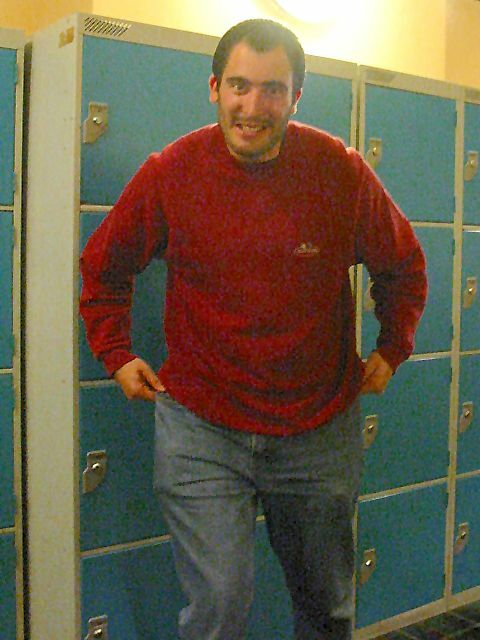 1st April 2006 - Me strapping into the driving seat of a Ferrari F355. 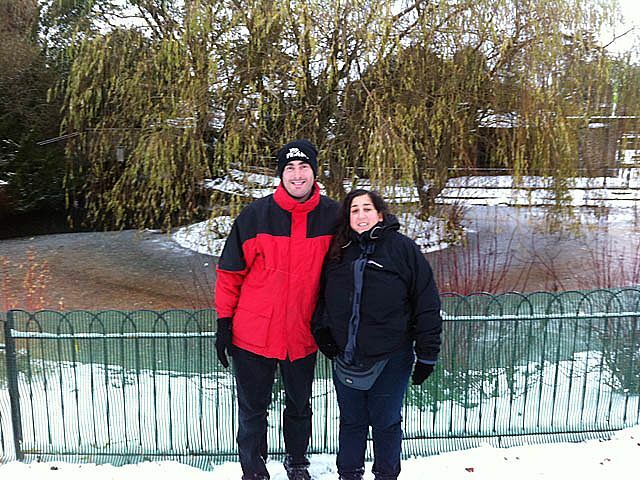 Silverstone Racetrack. 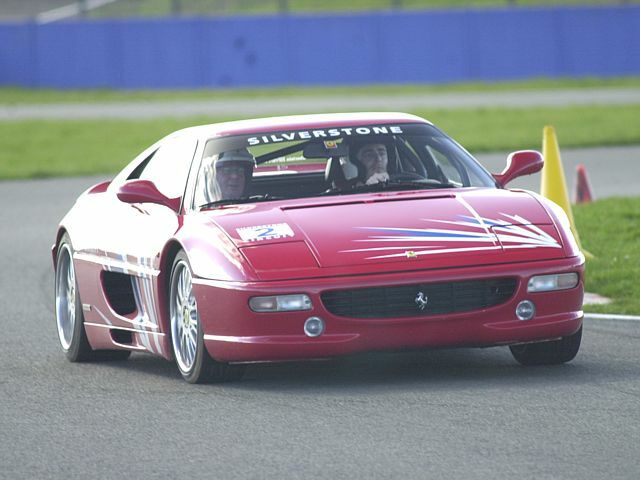 1st April 2006 - Me driving a Ferrari F355. 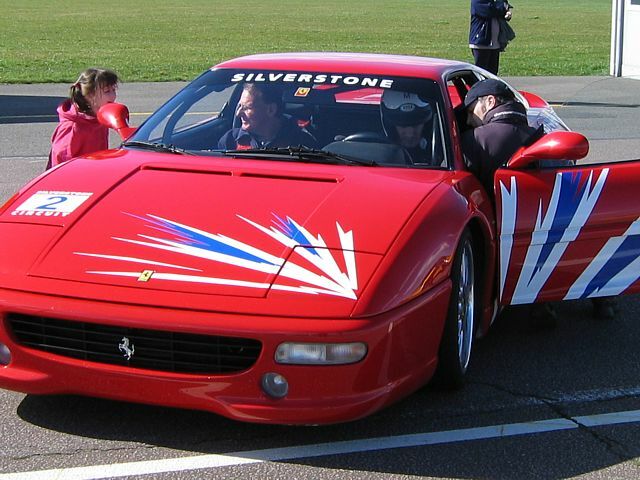 Silverstone Racetrack. 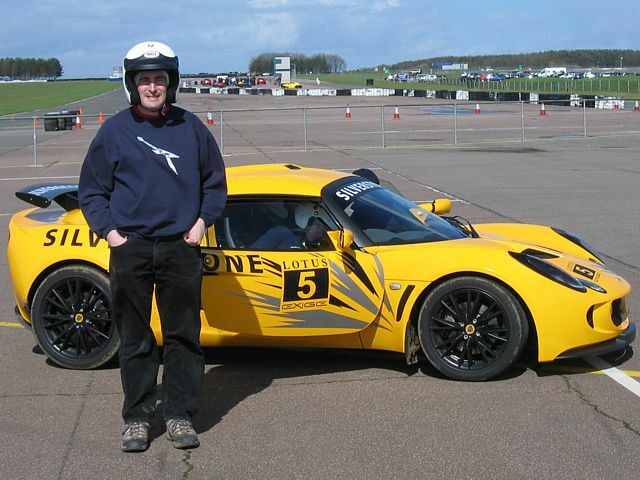 1st April 2006 - Me standing by a turbo charged Lotus Exige. 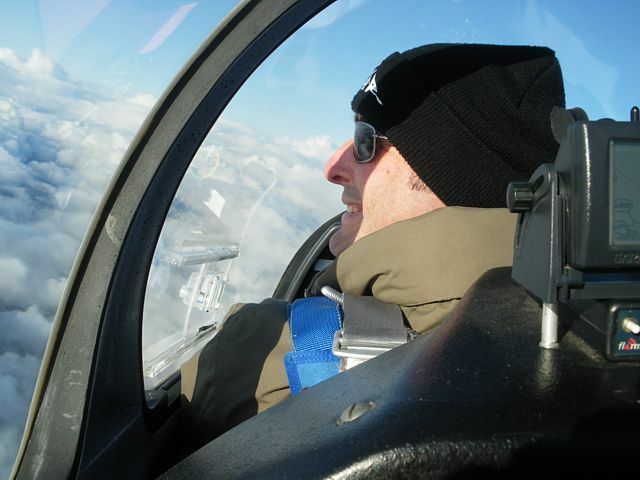 Lasham Airfield. 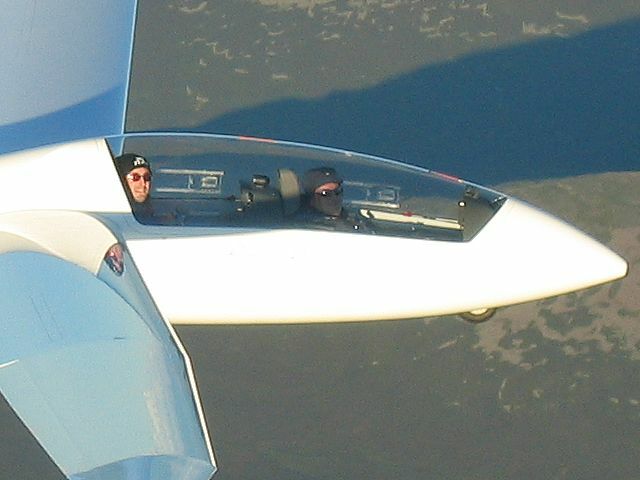 9th October 2006 - Me in back seat of Duo Discus Glider. Above the Dee Valley, Aberdeenshire. 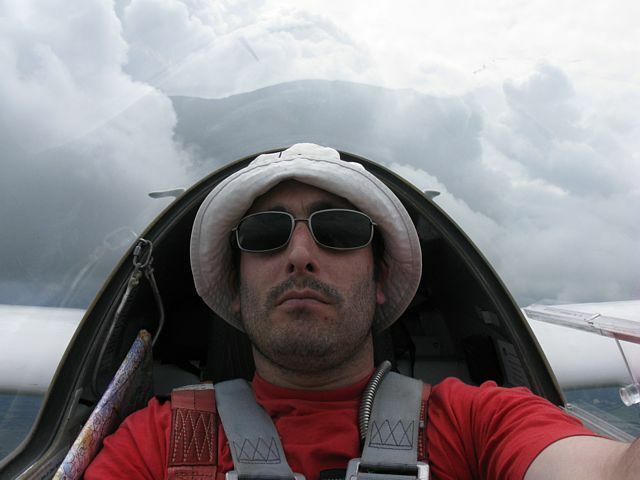 9th October 2006 - Me in back seat of Duo Discus Glider. 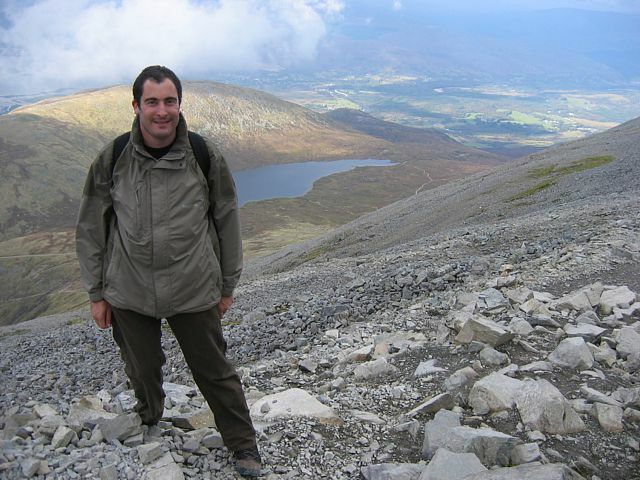 On the side of Ben Nevis, Highland. 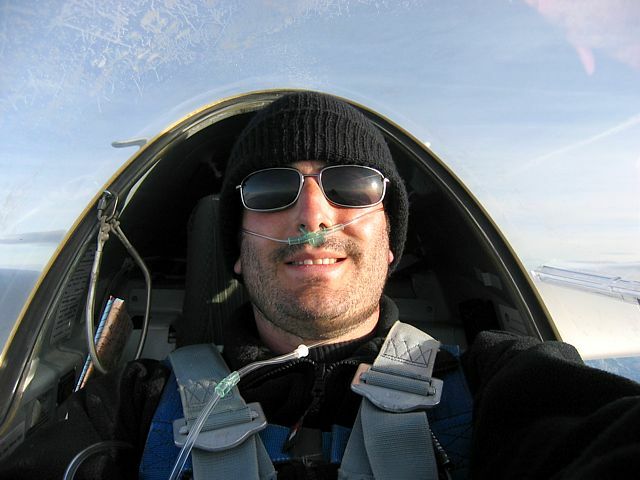 11th October 2007 - Me in Discus B at about 22,000 feet. Above Loch Muick, Aberdeenshire. 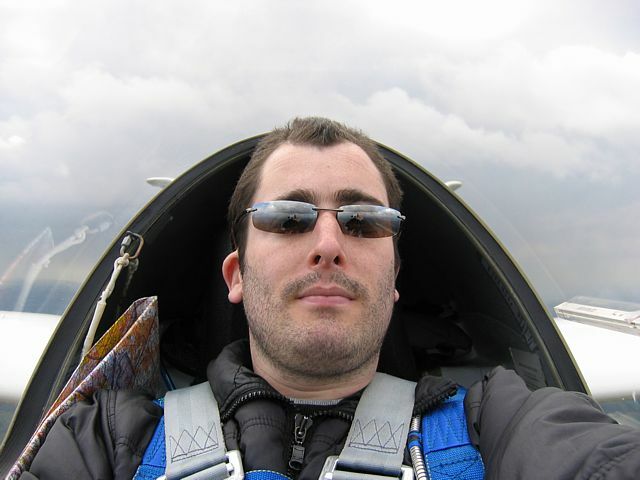 13th October 2007 - Me in Discus B at about 15,000 feet. 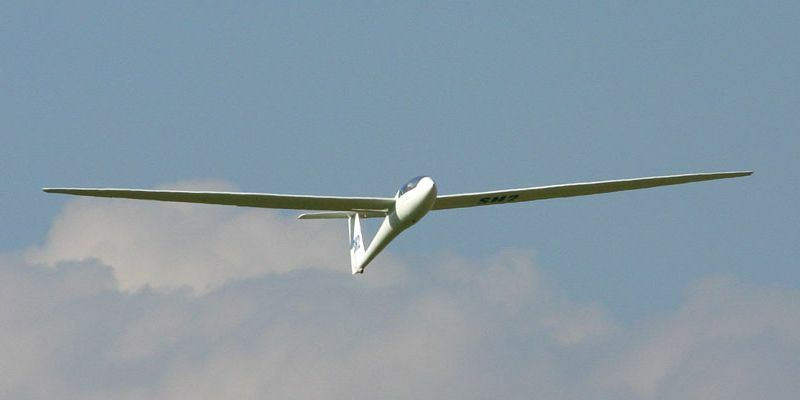 15th June 2008 - Me in Discus B Glider. 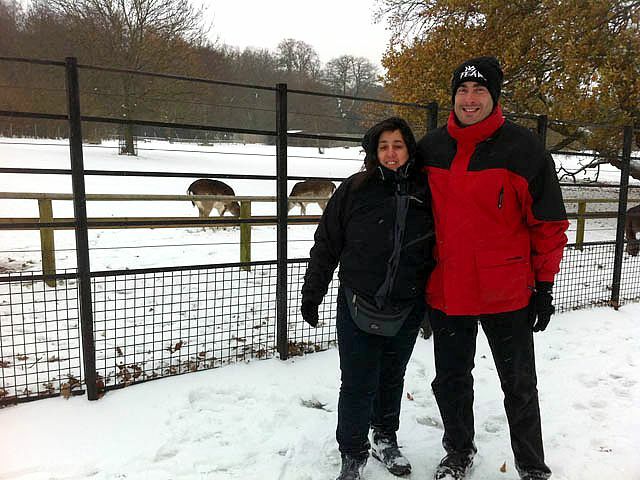 Somewhere near Lasham Airfield. 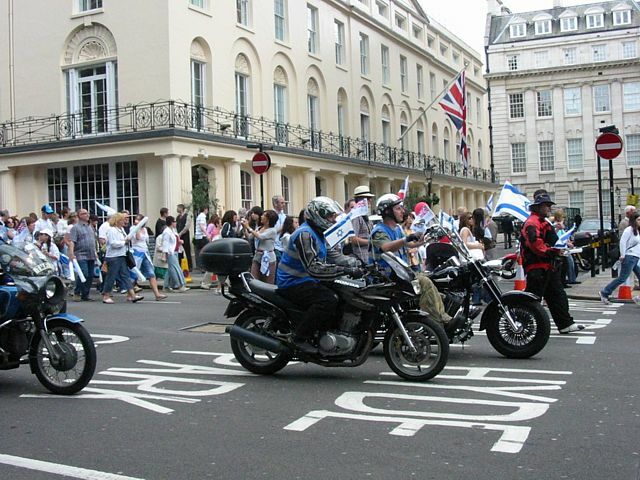 29th June 2008 - Me in a parade, near centre of picture. Picadilly, Central London. 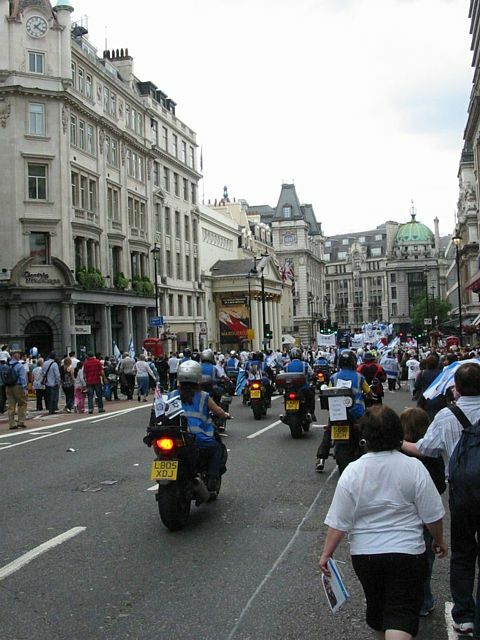 29th June 2008 - Me in a parade, front centre. Haymarket, Central London. 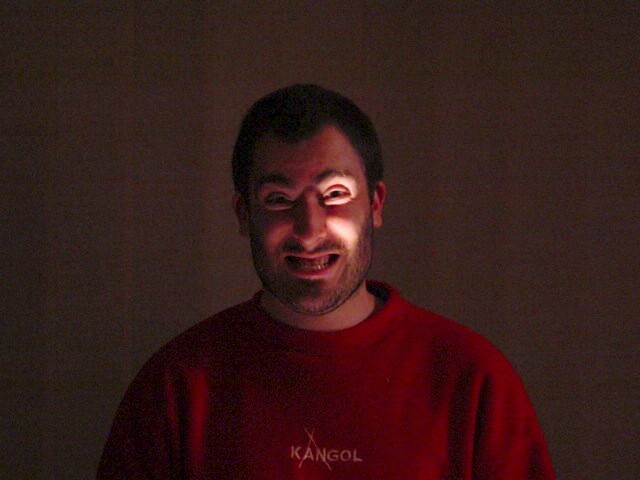 29th June 2008 - Me in a parade, front of group. 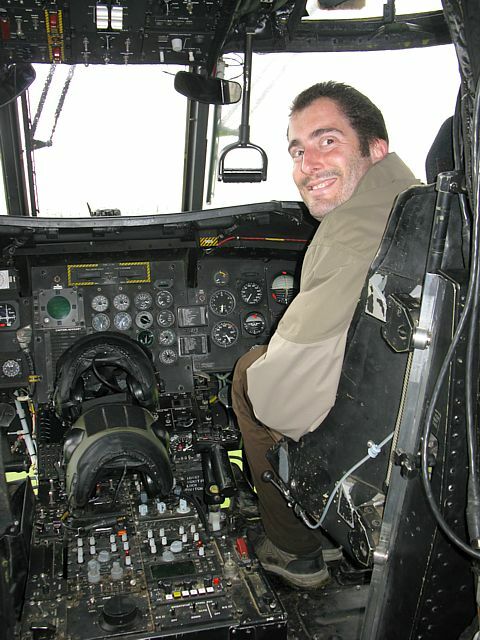 6th September 2008 - Me sitting in the Chinook cockpit. 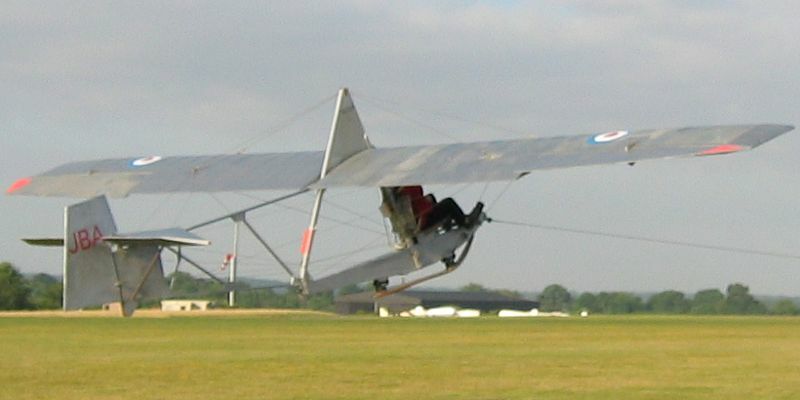 Lasham Airfield. 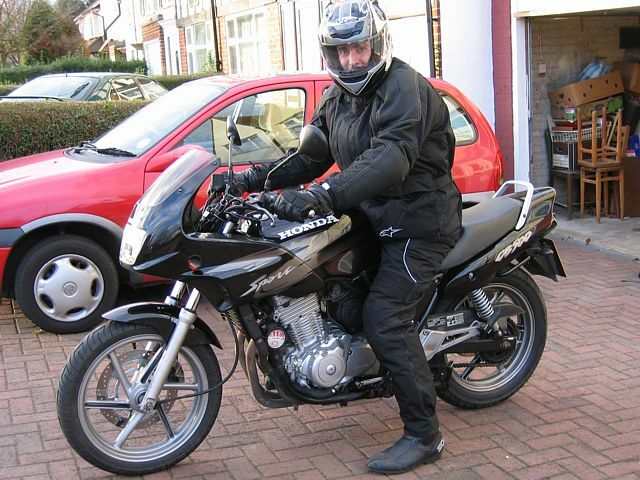 18th October 2008 - Me as P1 in the front. Alex Harris as P2 in the back. 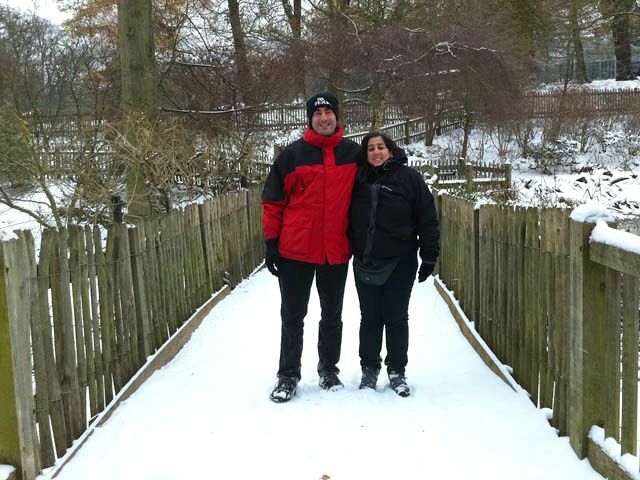 Somewhere near Lasham Airfield. 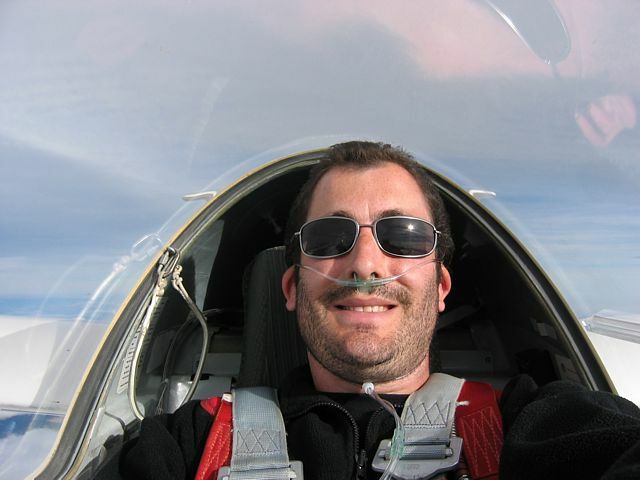 11th October 2009 - Me above 20,000 feet QNH. 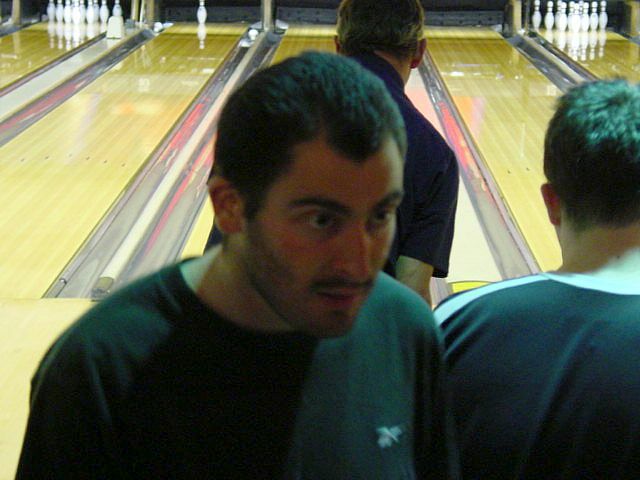 Rob Ward as P2 in the back. Above the Dee Valley, Aberdeenshire. 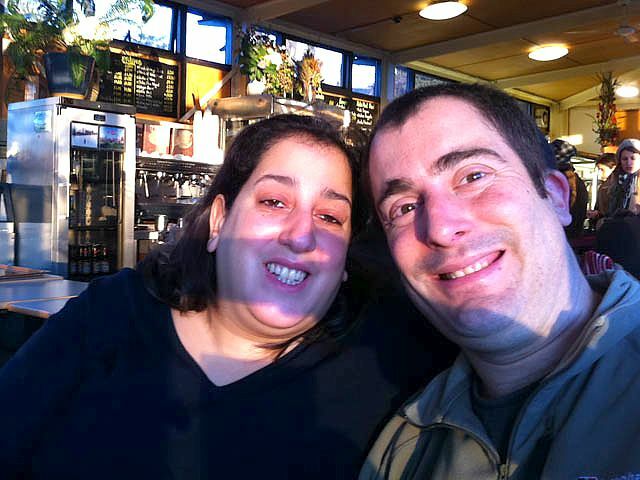 11th October 2009 - Pictures taken by Rob Ward with me in the frame. I was P1 in the front seat, Rob was P2 in the back seat. 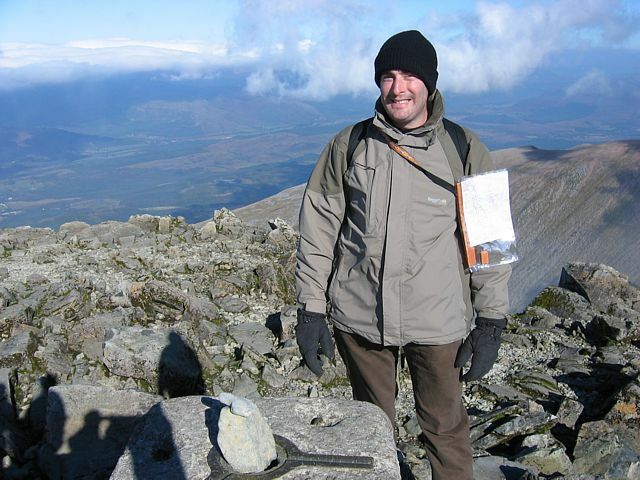 16th October 2009 - 360 degree panorama attempt of me climbing at 4kts at 16,000 feet in the lee of Derry Cairngorm in a Discus. Between Braemar and Derry Cairngorm, Aberdeenshire. 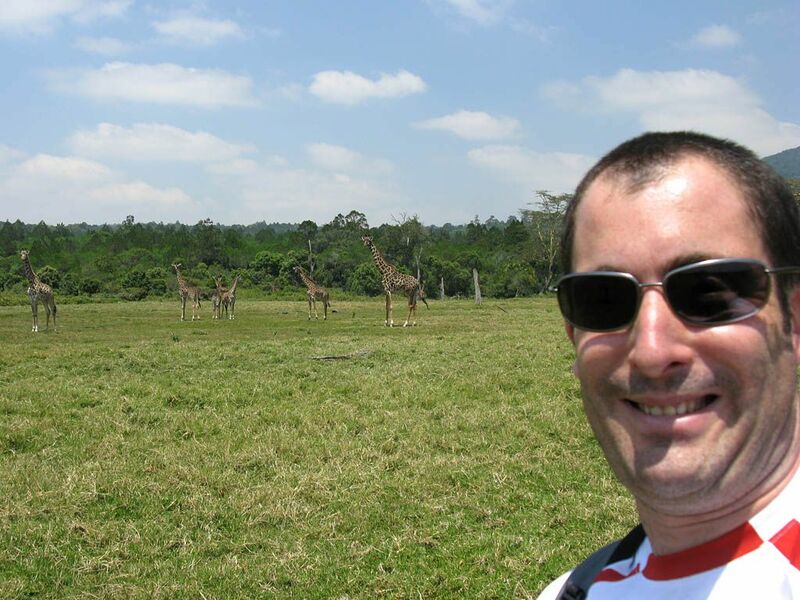 16th August 2010 - Me in front of wild giraffes in Arusha National Park, Tanzania. 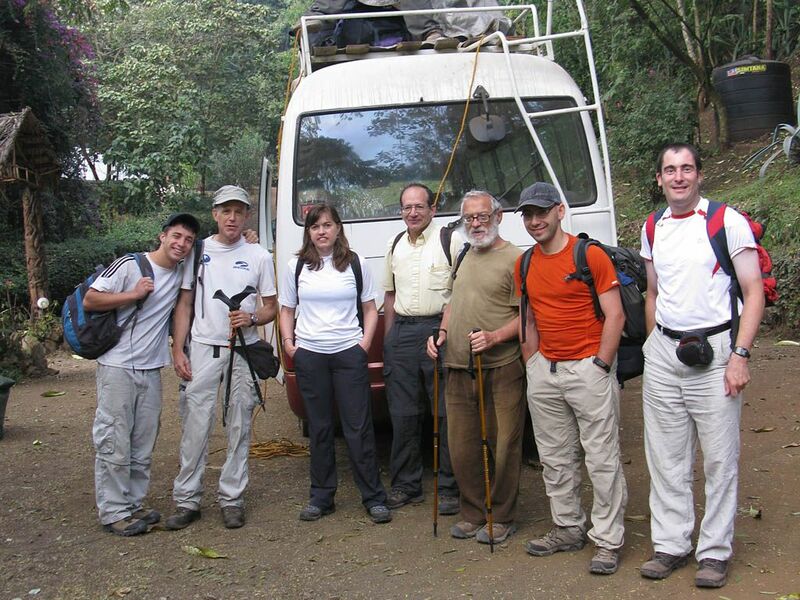 17th August 2010 - About to set off from Karama Lodge in Arusha for Kilimanjaro. 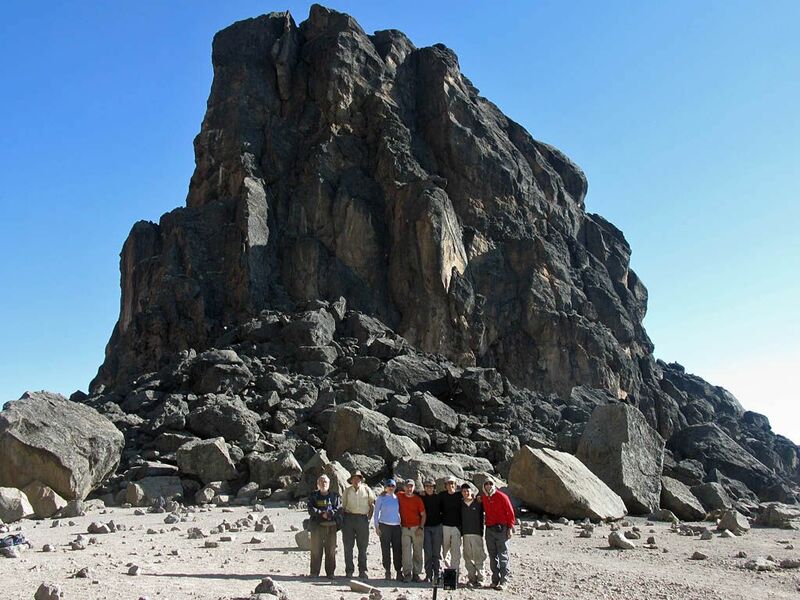 18th August 2010 - Group shot at the base of Lava Tower, Kilimanjaro. 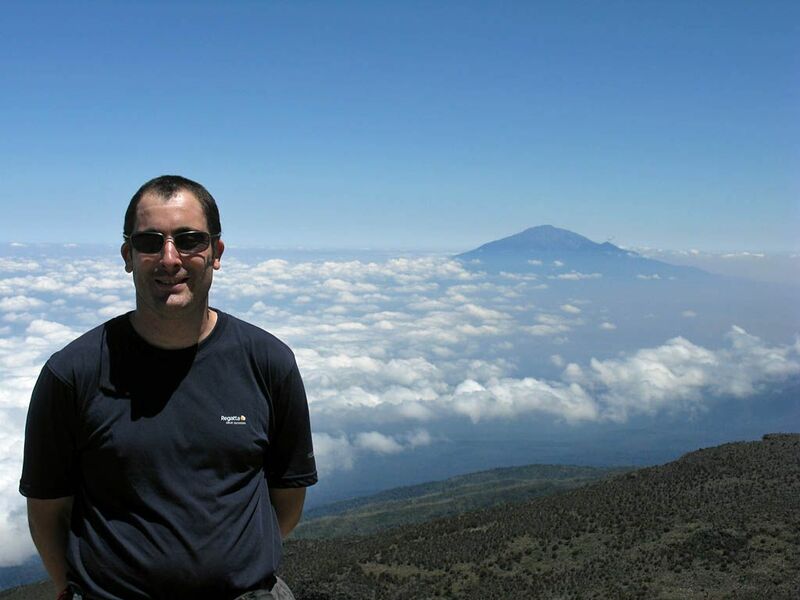 19th August 2010 - Me at the top of the Barranco Wall, Kilimanjaro, with Mount Meru in the distance floating on the haze and cumulus clouds below. 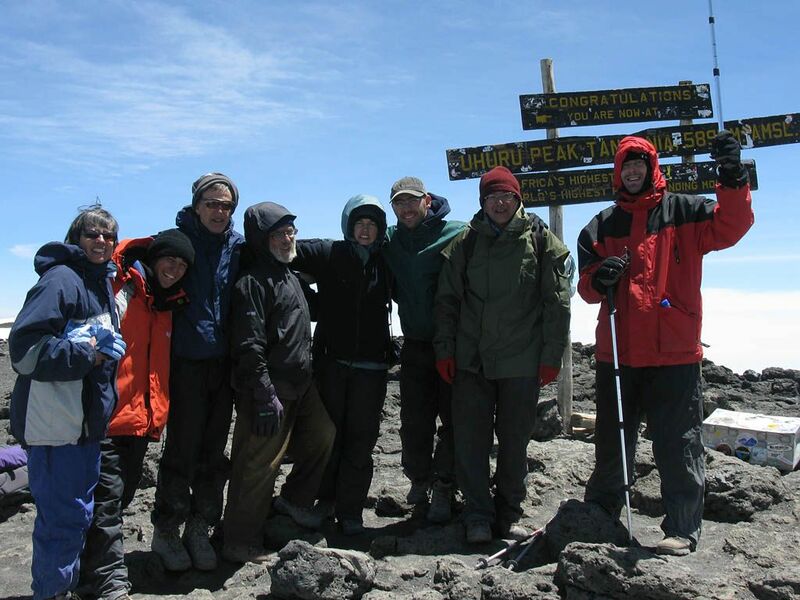 19th August 2010 - A group shot of all 8 of us plus 3 guides at the top of the Barranco Wall, Kilimanjaro. 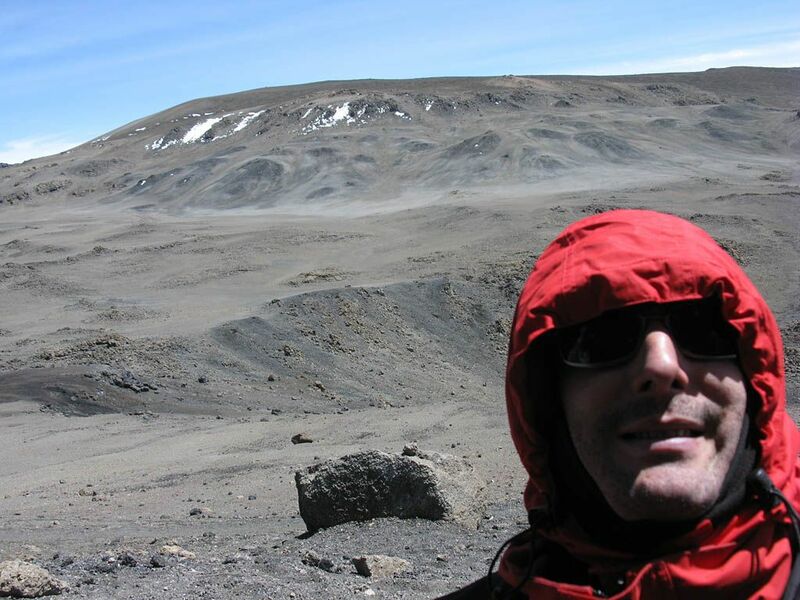 19th August 2010 - Me with my sun hat on with Karanga huts and clouds behind, Kilimanjaro. 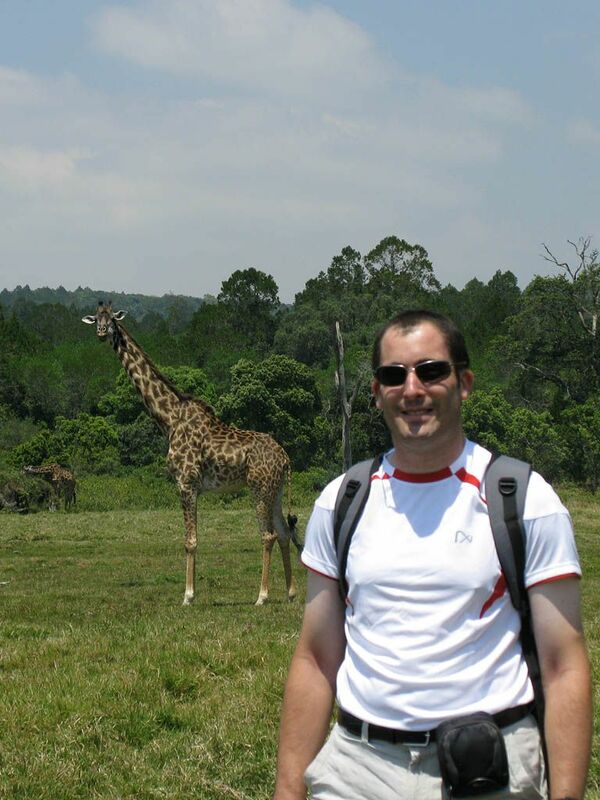 19th August 2010 - Me with Kibo behind me, Kilimanjaro. 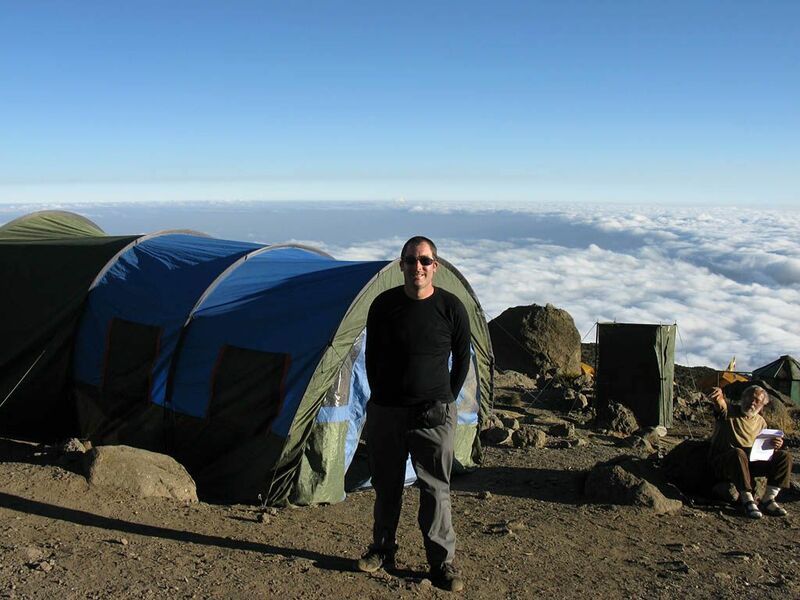 19th August 2010 - Me in front of the dining tent with the clouds behind and below, Kilimanjaro. 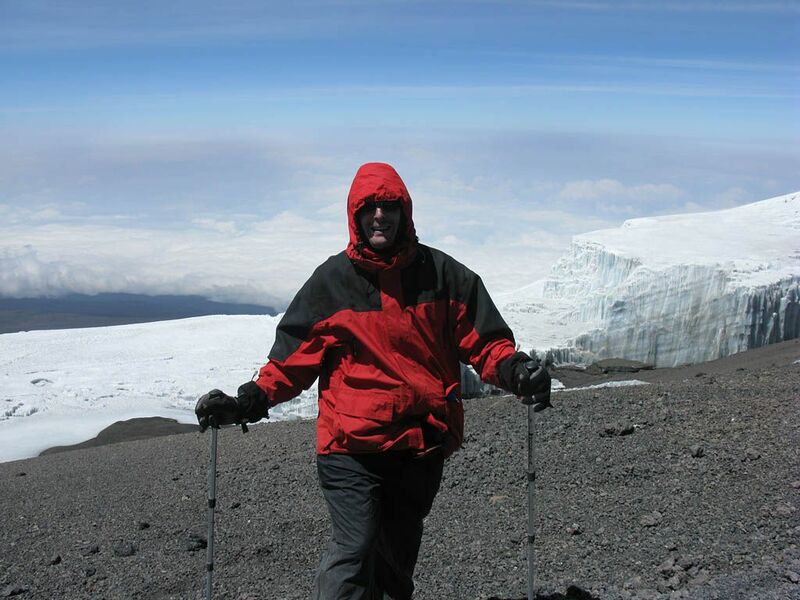 22nd August 2010 - Me on the crater rim at Stella Point, Kilimanjaro summit. 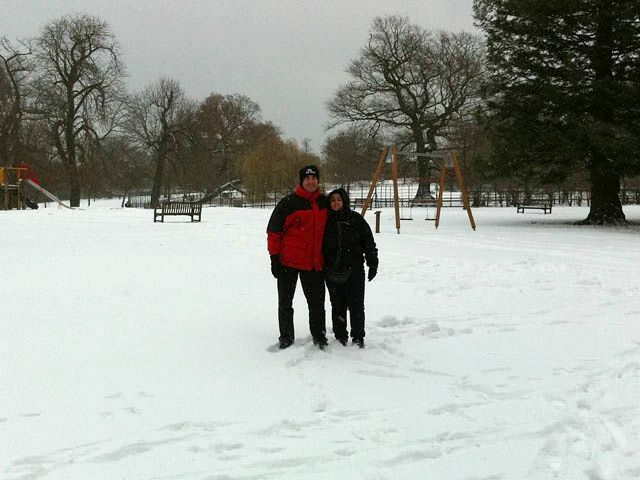 Hood up to shield from an icy cold wind. 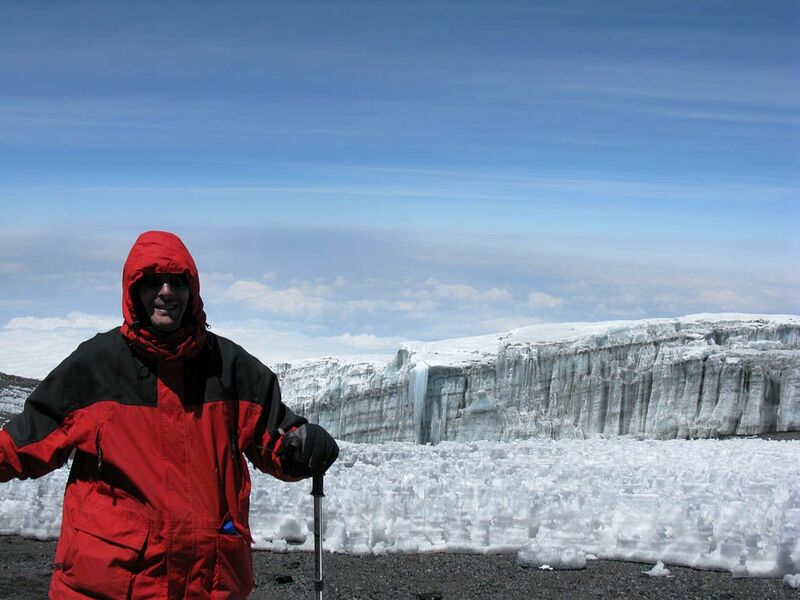 22nd August 2010 - Me in front of Rebmann Glacier, Kilimanjaro summit. 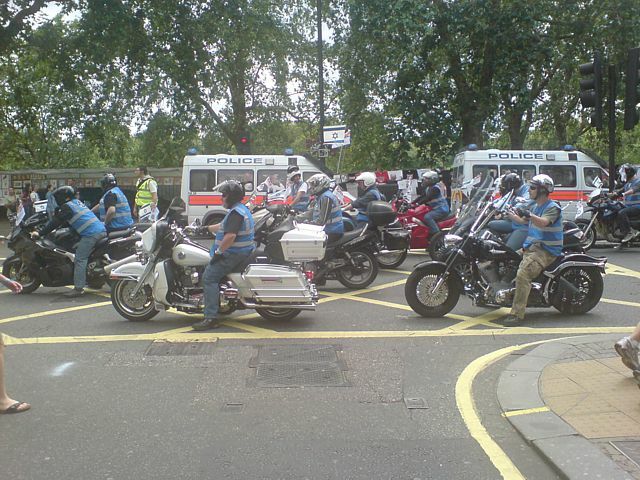 22nd August 2010 - This is probably 'The Wedge'. A spectacular glacier. 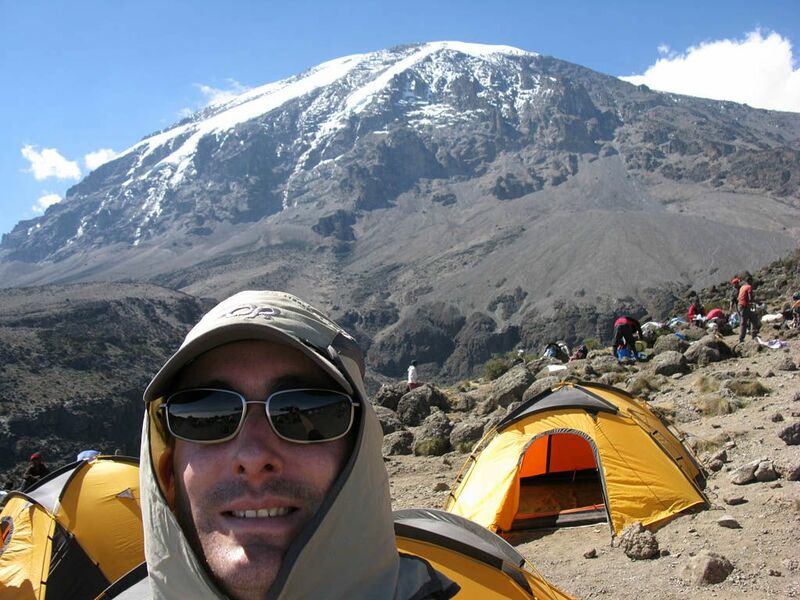 With me in front, Kilimanjaro summit. 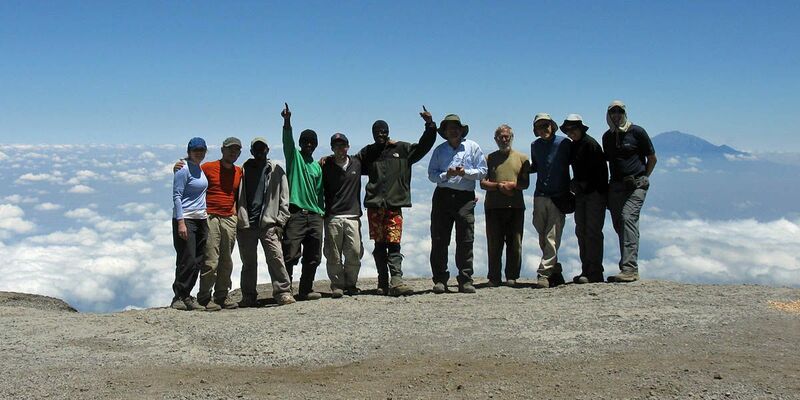 22nd August 2010 - The ultimate goal of the whole trip achieved. Uhuru Point! 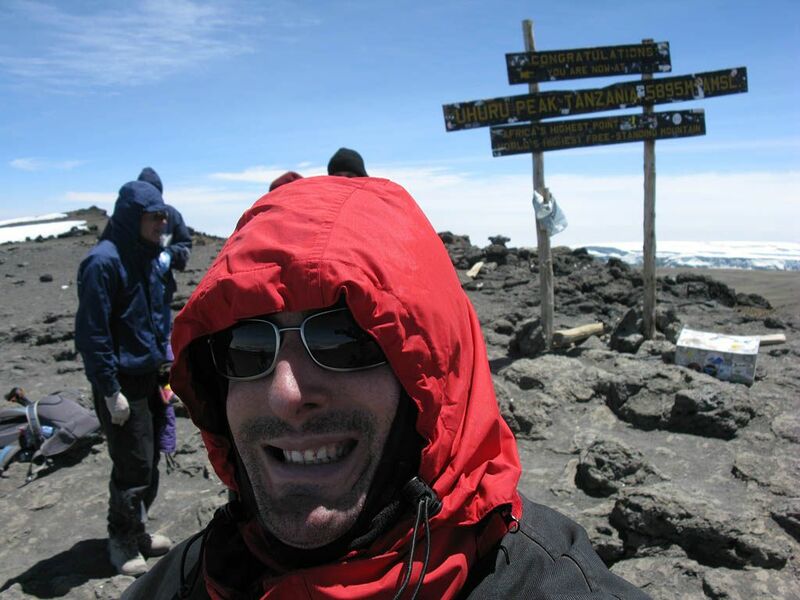 The sign itself, and me in front of the sign, Kilimanjaro summit. 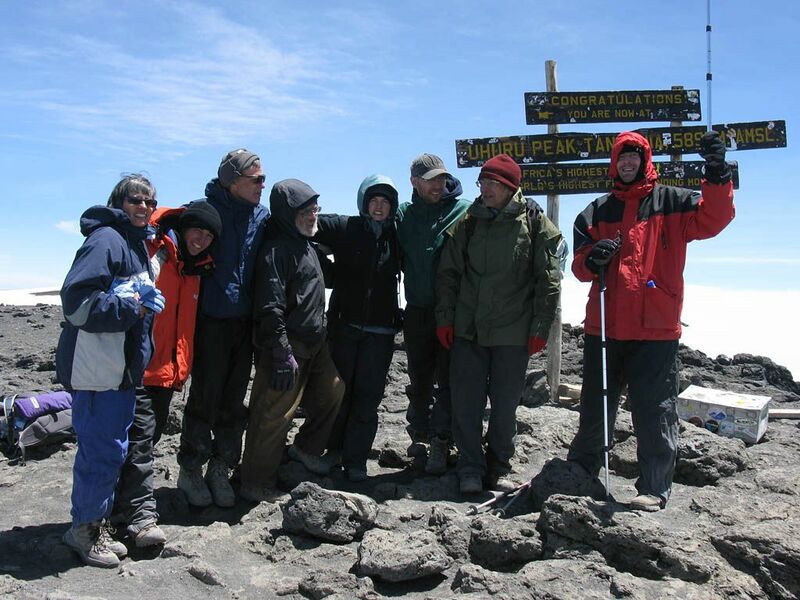 22nd August 2010 - Two group shots at Kilimanjaro summit, me holding a hiking stick up in triumph! 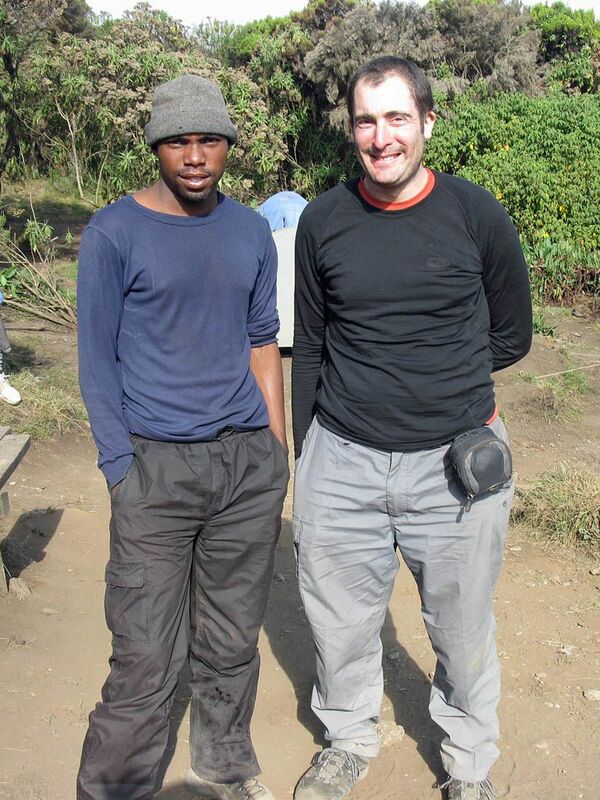 23rd August 2010 - Me with Michael, my namesake on the Kilimanjaro trip, who is an assistant to the chef. 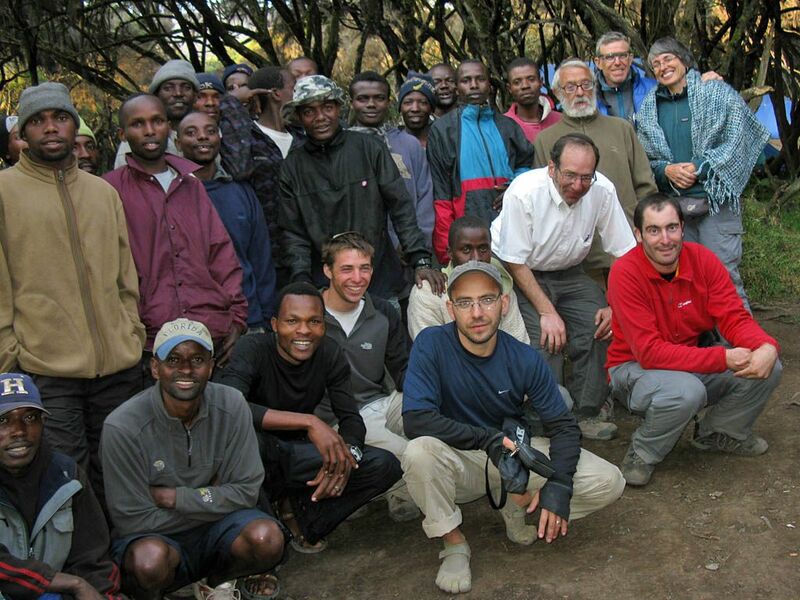 23rd August 2010 - A bunch of us posing with the crew at Mweka Camp, Kilimanjaro. 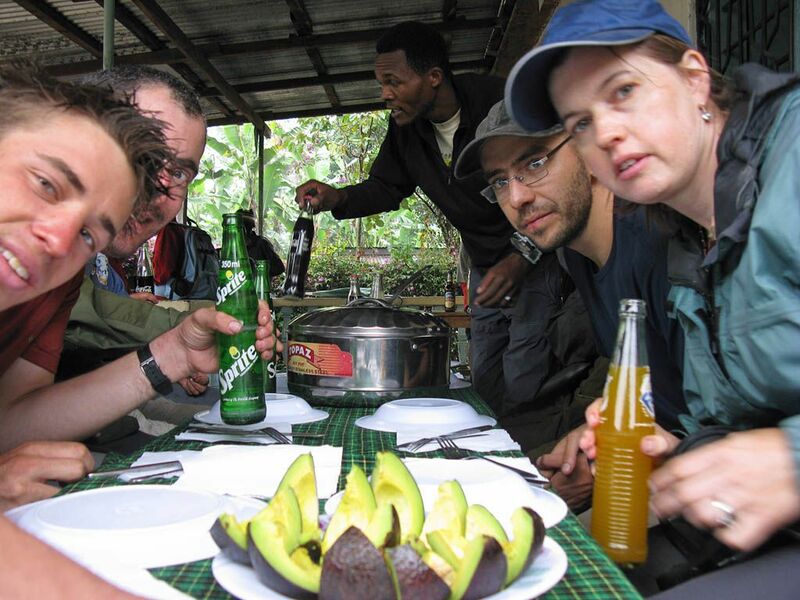 24th August 2010 - A delicious farewell meal and drinks being served by the chef from the trek, Mweka Gate below Kilimanjaro. 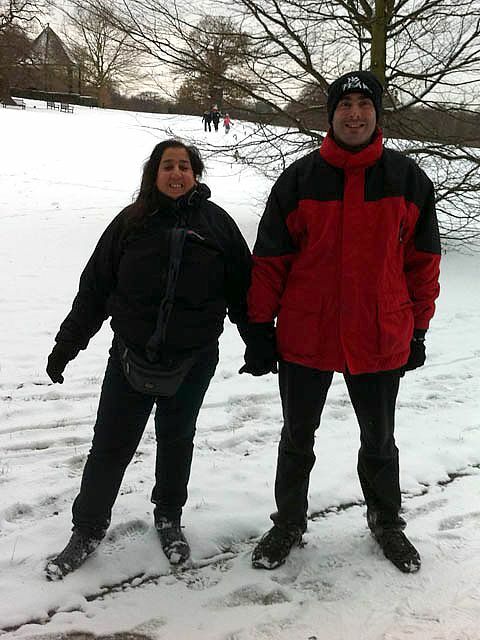 2nd December 2010 - Mike and Ren�e at Golders Hill Park. 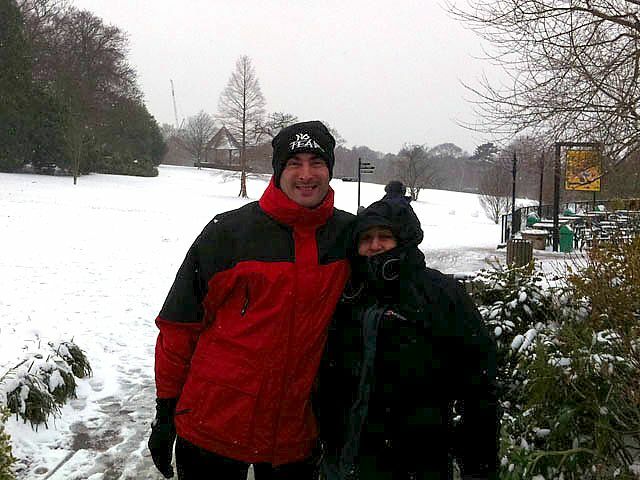 8th January 2011 - Mike and Ren�e at Golders Hill Park. 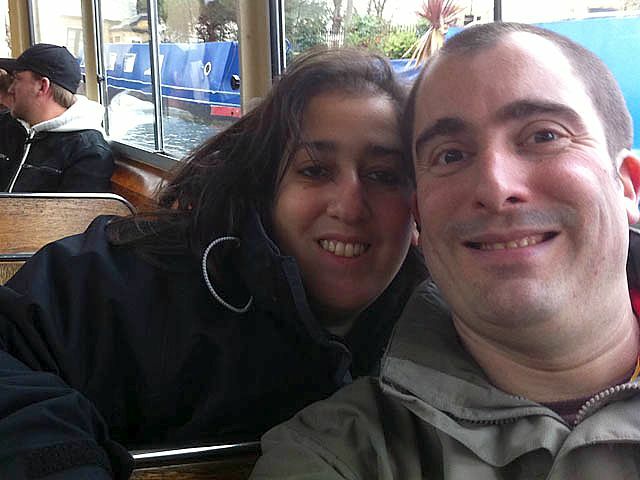 6th March 2011 - Mike and Ren�e on the Waterbus near Maida Vale. 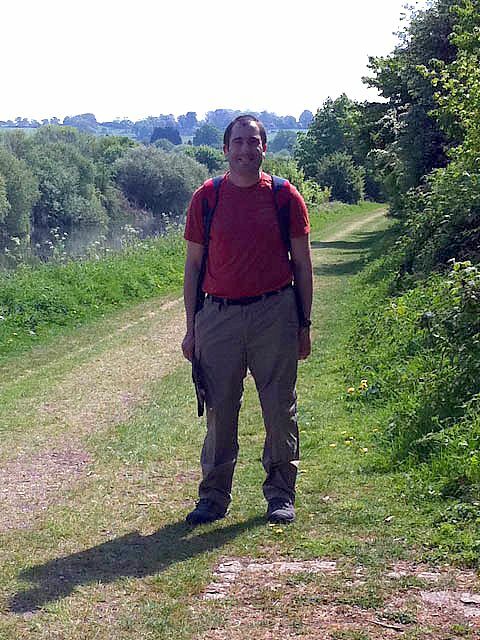 22nd April 2011 - Me on a walk in the Lee Valley.